The Allen County Beekeepers Association will host the South Central Kentucky Beekeeping School on February 4, 2017 at the Allen County Intermediate School (720 Oliver St, Scottsville, KY). Registration is $10 per person and begins at 7:30 am. (No pre-registration is required.) Welcoming remarks begin at 8:15 and the school day will conclude at 4:30 pm. Jennifer Berry will be the keynote presenter. Jennifer is Apicultural Research Professional and Lab Manager for the University of Georgia Honey Bee Program. 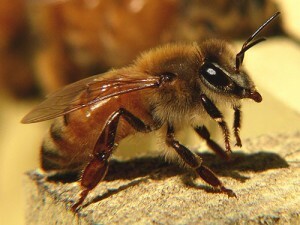 Her research objectives have focused on improving honey bee health, the sub-lethal effects of pesticides on beneficial insects and IPM techniques for varroa and small hive beetle control. Classes will be offered for all levels of beekeeping from beginning through advanced. Tammy Horn Potter, Kentucky State Apiarist, will provide a briefing on the new law regulating antibiotic use in beekeeping that requires veterinary assistance after January 1. Other instruction will be provided by Kent Williams, John Benham, Joe Taylor, Harris Overholt and other experienced beekeepers. The complete class schedule will be published on the KSBA website and on Facebook Beekeeping pages including Warren County Beekeepers, Central Kentucky Beekeepers, Grayson County Beekeepers as soon as it is finalized. Lunch is not provided but is available for purchase on site, may be carried in, or purchased off campus. Beekeeping suppliers, Kelley Beekeeping and Dadant, will attend with supplies for sale. (Contact vendors directly if you would like pre-orders delivered that day.) Numerous door prizes will be given out at the conclusion of the event.